140 On the Mechanism of Radical C-N Coupling in Type B Semiconductor Photocatalysis – a High Pressure Study. 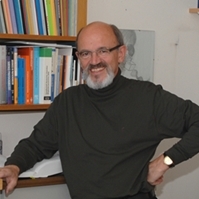 A. Reinheimer, R. van Eldik, H. Kisch, J. Phys. Chem. B.104(2000)1014-1024. 141 Serendipitous Formation of the Cyclic Sulfite DIMTH(SO3) by Reaction of DIMTH(OH)2 with SOCl2. C. Handrosch, F. W. Heinemann, H. Kisch, Z. Naturforsch. 24b(1999)1015- 1018. 142 rac-5,5’-(2-Acetoxypropyl)furoil, C. Handrosch, F. W. Heinemann, H. Kisch, Acta Cryst. C55(1999)2184-2186. 143 Visible Light Detoxification and Charge Generation by Transition Metal Chloride Modified Titania. L. Zang, W. Macyk, Ch. Lange, W. F. Maier, Ch. Antonius, D. Meissner, H.Kisch, Chem. Eur. J. 6( 2000)379-384. 144 Room Temperature Oxidation of Carbon Monoxide Catalyzed by Hydrous Ruthenium Dioxide, L. Zang, H. Kisch, Angew. Chem. 112(2000)4075-4076, Int. Ed. Engl. 39(2000)3921-3922. 145 Chiral Metal Dithiolene – Viologen Ion Pairs – Synthesis and Electrical Conductivity. H. Kisch. B. Eisen, I. Nunn, R. Dinnebier, K. Shankland, W. I. F. David, F. Knoch, Chem. Eur. J. 7 (2001)738-748. 146 Mechanism of Titanium Dioxide Photosensitization by Platinum(IV)chloride Surface Complexes. W. Macyk, H. Kisch, J. Inf. Rec. 25(2000)435-438. 147 Photosensitization of Crystalline and Amorphous Titanium Dioxide by Pt(IV)-Chloride Surface Complexes W. Macyk, H. Kisch, Chem. Eur. J., 7(2001)1862-1867. 148 Novel Organic Syntheses Through Semiconductor Photocatalysis. H. Kisch, M. Hopfner in “Electron Transfer in Chemistry. Volume 4: Heterogeneous Systems, Solid State Systems, Gas Phase Systems. Section 1: Catalysis of Electron Transfer”, V. Balzani (ed. ), Wiley, 2001, 232-275. 149 Semiconductor Photocatalysis For Organic Syntheses. H. Kisch, Adv. Photochem. 62(2001) 93-143. 150 Visible Light Photodegradation of 4-Chlorophenol with a Coke containing Titanium Dioxide Photocatalysts. C. Lettmann, K. Hildenbrand, H. Kisch, W. Macyk, W. F. Maier, Appl. Catal. B: Environmental 32(2001)215. 151 Photofixierung von Stickstoff an nanostrukturierten Eisentitanatfilmen. O. Rusina, A. Eremenko, A. Frank , H-P. Strunk , H. Kisch, Angew. Chemie, 113(2001)4115-4117, Int. Ed. 40(2001)3993-3995. 152 Elektronische Halbleiter-Trägerwechselwirkung – ein neuer Effekt in der Halbleiter-Photokatalyse. H. Weiß, A. Fernandez, H. Kisch, Angew. Chem.113(2001)3942-3945. Int. Ed. 40(2001)3825-3827. 153 Synthesen durch Halbleiter-Photokatalyse. H. Kisch, W. Lindner, Chemie in unserer Zeit 35(2001)250-257. 154 Photocatalytic and photoelectrochemical properties of titania-chloroplatinate(IV). G. Burgeth, H. Kisch, Coord. Chem. Rev., 230(2002)41-47. 155 Photoreduction of Bicarbonate Catalyzed by Supported Cadmium Sulfide, H. Kisch, P. Lutz, Photochem. Photobiol. Sci. 1(2002)240-245. 156 Visible Light Photocatalysis by Modified Titania, H. Kisch, W. Macyk, ChemPhysChem (invited Highlight)., 3(2002)399-400. 157 Tuning Photoelectrochemical and Photocatalytic Properties through Electronic Semiconductor–Support Interaction. H. Kisch, H. Weiß, Adv. Funct. Mater. (invited Feature Article), 12(2002)483-488. 158 Semiconductor Photocatalysis Type B – Cadmium Sulfide Photocatalyzed Synthesis of Unsaturated α-Amino Esters from Imines and Olefins. M. Hopfner H. Weiß, F. Heinemann, D. Meissner , H. Kisch, Photochem. Photobiol. Sci. 1(2002)696-703. 159 Nitrogen Photofixation at Nanostructured Iron Titanate Films. O. Rusina, O. Linnik, A. Eremenko, H. Kisch, Chem. Eur. J., 9(2003)561-565. 160 Halbleiter-Photokatalyse, H. Kisch, W. Macyk, Nachr. Chemie 50(2002)1078-1082. 161 Ion Pairs between Nickel and Cobalt Dithiolene Dianions and Macrocyclic Nickel(II) Dications – Control of Intrapair Interaction through Ligand Modification. B. Nowicka, G. Schmauch, T. Chihara, Frank. W. Heinemann, M. Hagiwara, Y. Wakatsuki, H. Kisch, Bull. Soc. Chem. Jpn. 75(2002)21692175. 162 Photocatalytic and Photoelectrochemical Properties of Nitrogen-Doped Titanium Dioxide. S. Sakthivel, H. Kisch, ChemPhysChem. 4(2003)487-490. 163 Photoelectrochemical Properties of Platinum(IV)chloride Surface Modified TiO2, W. Macyk, G. Burgeth, H. Kisch, Photochem. Photobiol. Sci. 2(2003) 322-328. 164 Daylight Photocatalysis by Carbon Modified Titania, S. Sakthivel, H. Kisch, Angew. Chem. 115(2003)5057-5059. Int. Ed. Engl. 42(2003)4908 – 4911. 165 Visible Light Photocatalysis by a Titania Transition Metal Complex, H. Kisch, G. Burgeth, W. Macyk, Adv. Inorg. Chem, 56(2004)241-159. 166 Visible light activity and photoelectrochemical properties of N-doped TiO2, S. Sakthivel, M. Janczarek, H. Kisch, J. Phys. Chem. B. 108(2004)19384 – 19387. 167 Bandgap widening of titania through semiconductor support interaction, M. Gärtner, S. Dremov, P. Müller, H. Kisch, ChemPhysChem 6(2005)714-718. 168 Photoelectrochemical Properties of a Dinitrogen Fixing Iron Titanate Thin Film, O. Rusina, W. Macyk, H. Kisch, J. Phys. Chem. B. 109(2005)1858-1862. 169 Electrochemical Mass Spectroscopic and Surface Photovoltage Studies of Catalytic Water Photooxidation by Undoped and Carbon Doped Titania, B. Neumann, P. Bogdanoff, H. Tributsch, S. Sakthivel, H. Kisch, J. Phys. Chem. B. 109(2005)16579-16586. H. Kisch, and P. Schmuki, Appl. Phys. Lett. 87(2005)2431114(1-3). 171 Efficient sonochemical degradation of 4-chlorophenol catalyzed by titanium dioxide hydrate. Zh. Dai, A. Chen, H. Kisch, Chemistry Letters 34(2005)1706-1707. 172 UV and Visible Light Acrylate Photopolymerisation inititated by Nitrogen- or Carbon- doped Titandium Dioxide, C. Damm, S. Sakthivel, H. Kisch, Z. Phys. Chem. 173 On the Mechanism of Nitrogen Photofixation at Nanostructured Iron Titanate Films. O. Linnik, H. Kisch, Photochem. Photobiol. Sci. 5(2006)938 – 942. 174 Support-controlled Chemoselective Olefin-Imine Addition Photocatalyzed by Cadmium Sulfide on a Zinc Sulfide Carrier. M.Gärtner, J.Ballmann,C. Damm, F.W. Heinemann, H. Kisch, Photochem. Photobiol. Sci. 6(2007)159-164. 175 Semiconductor Photocatalysis Type B – Synthesis of Unsaturated α-Cyano- Homoallylamines from Imines and Olefins Photocatalysed by Silica and Cellulose Supported Cadmium Sulphide. H. C. Pehlivanugullari, E. Sumer, and H. Kisch, Res. Chem. Intermed. 33(2007)297-309. 176 Surface-modified anodic TiO2 films for visible light photocurrent response. R. Beranek, H. Kisch, Electrochem. Commun. 9(2007)761-766. 177 Exploring the Electronic Structure of Nitrogen-Modified TiO2 Photocatalysts through Photocurrent and Surface Photovoltage Studies, R. Beranek, B.Neumann, Sh. Sakthivel, M. Janczarek,Th. Dittrich, H. Tributsch, H. Kisch, Chem. Phys. 339(2007)11-19. 178 A Low-Bandgap, Nitrogen Modified Titania Visible Light Photocatalyst. H. Kisch, S. Sakthivel, M. Janczarek, and D. Mitoraj, J. Phys. Chem. C. 111(2007)11445-11449. 179 Photoassisted catalytic oxidation of carbon monoxide at room temperature, W. Macyk, H. Kisch, Monatsh. Chem. 2007(2007)935-940. 180 A Hybrid Semiconductor Electrode for Wavelength-Controlled Switching of the Photocurrent Direction, R. Beranek, H. Kisch, Angew. Chem. 120(2008)1340-1342. 181 Carbon –Doped Titanium Dioxide: Visible Light Photocatalysis and EPR Investigation. E. A. Konstantinova, A. I. Kokorin, S. Sakthivel, H. Kisch, K. Lips, Chimia 61(2007)810-814. 182 Visible Light Induced Photoelectrochemical Properties of n-BiVO4 and n-BiVO4/p-Co3O4. M. Long, W. Cai, H. Kisch, J. Phys. Chem. C. 112(2008)548-554. 183 Apparent Semiconductor Type Reversal in Anatase TiO2 Nanocrystalline Films. D. S. Warren, Y. Shapira, H. Kisch, A. J. McQuillan, J. Phys. Chem. C, 111(2007)14286 -14289. 184 Visible light inactivation of bacteria and fungi by modified titanium dioxide. Photochem. Photobiol. Sci. 6(2007)642-648. 185 Tuning the Optical and Photoelectrochemical Properties of Surface-Modified TiO2, R. Beranek, H. Kisch, Photochem. Photobiol. Sci., 2008, 7, 40 – 48. 186 Dinitrogen Photofixation at Ruthenium-modified Titania Films, O. Linnik, H. Kisch, Mendeleev Commun. 18(2008)1-3. 187 Photodynamic activity of platinum(IV) chloride surface-modified TiO2 irradiated with visible light. A. Janczyk, A. Wolnicka-Glubisz, K. Urbanska, H. Kisch, G. Stochel, W.
Macyk, Free Radical Biology Medicine 44(2008)1120. 188 Hybrid Semiconductor Electrodes for Light-Driven Photoelectrochemical Switches. M.-c. Long, R. Beranek, W.-m. Cai, H. Kisch, Electrochimica Acta 53(2008)4621-4626. 189 Visible Light Photo-oxidations in the Presence of a-Bi2O3. J. Eberl , H. Kisch, Photochem. Photobiol. Sci. 7(2008)1400 – 1406. 190 Visible-light Photocatalysis by a Titania-Rhodium(III) Chloride Complex. Z. Dai, G, Burgeth, F. Parrino, H. Kisch, J. Organometal. Chem. 694(2009)1049-1054. 193 Photoelectrochemical properties of nanocrystalline Aurivillius phase Bi2MoO6 film under visible light irradiation Long, Mingce; Cai, Weimin; Kisch, Horst. Chem. Phys. 194 C-H Activation through Semiconductor Photocatalyzed Sulfoxidation of Alkanes. F. Parrino, A. Ramakrishnan, H. Kisch, Angew. Chem. 120(2008)7215-7217. 195 Zur Natur von Stickstoff-modifiziertem Titandioxid für die Photokatalyse mit sichtbarem Licht. D. Mitoraj, H. Kisch, Angew. Chem. 120(2008) 10123-10126. Angew. 2009, p. 269. “Daylight Semiconductor Photocatalysis for Air and Water Purification” ibidem, p. 272. 197 On the Origin of Visible Light Activity in Carbon-modified Titania. P. Ząbek, J. Eberl, H. Kisch, Photochem. Photobiol. Sc. 8(2009)264 – 269. (Solid State Chemistry and Photocatalysis of Titanium Dioxide), 49-75. 199 EPR Study of the Illumination Effect on Properties of Paramagnetic Centers in Nitrogen– Doped TiO2, Active in Visible Light Photocatalysis.E. A. Konstantinova, A. I. Kokorin, K.
Lips, S. Sakthivel and H. Kisch, Appl. Magn. Reson. 35(2009)421-427. 200 The Degradation of Microcystin-LR using Visible Light Absorbing Photocatalysts. D.Graham, H. Kisch, L.A. Lawton, P.K.J. Robertson, Chemosphere 78(2010)1182-1185. 201 Analysis of electronic and photocatalytic properties of semiconductor powders through wavelength dependent quasi-Fermi level and reactivity measurements. D. Mitoraj, H.
Kisch, J. Phys. Chem. C.113(2009)20890-20895. 202 Mechanism of aerobic visible light formic acid oxidation catalyzed by poly(tri-s-triazine) modified titania. D. Mitoraj, R. Beránek, H. Kisch. Photochem. Photobiol. Sci., 9(2010)31-38. 204 Visible light mineralization of phenol and 4-chlorophenol assisted by semiconducting b-Bi2O3. J. Eberl, H. Kisch. Z. Naturforsch.B., 65(2010)399-404. 205 On the problem of comparing rates or apparent quantum yields in heterogeneous photocatalysis. H. Kisch. Angew. Chem. 49(2010)2-4. Angew. Chem. Int. Ed. 49(2010)9588-9589. Mechanistic Semiconductor Photocatalyis. H. Kisch, D. Mitoraj in “CRC Handbook of Organic Photochemistry and Photobiology”, 3rd Edition, in press. 207 Polyol-derived carbon-modified titania for visible light photocatalysis. P. Zabek, H. Kisch. J. Coord. Chem. 63(2010)2715 – 2726. 208 Photokatalyse – eine sanfte Kunst. H. Kisch. Praxis der Naturwissenschaften – Chemie in der Schule (oder abgekürzt: PdN-ChiS), Vol. 60, Nummer 1 (2011). 209 Nitrogen photofixation at nanostructured iron titanate films. H. Kisch in “Energy Efficiency and Renewable Energy through Nanotechnology”, L. Zang, ed., in press. 210 Visible light photocatalysis by metal halide complexes containing titania as a semiconductor ligand. H. Kisch in Adv. Inorg. Chem, in press. 211 Photochemical Synthesis of N-Adamantylhomoallylamines Through Addition of Cyclic Olefins To Imines Catalyzed by Alumina Grafted Cadmium Sulfide. Our research is focused on semiconductor photocatalysis for the chemical conversion and utilization of solar energy. This interdisciplinary field contains basic aspects of photochemistry, electrochemistry and heterogeneous catalysis. By analogy with the photosynthesis of green plants, the efficiency of such reactions is determined by three elementary steps; light-induced charge generation, followed by charge-separation and interfacial electron transfer from and to adsorbed substrates. This is schematically depicted in the following figure for the CdS catalyzed photoaddition of imines to olefins/enol ethers which opens an easy access to hitherto unknown unsaturated amines. In this novel reaction type (semiconductor photocatalysis type B) the primary electron transfer products recombine to one unique final product („paired photoelectrolysis“) while two final products are obtained in almost all other semiconductor photocatalyzed reactions (type A), in complete analogy with a conventional electrochemical reaction. According to the mechanism proposed, the semiconductor powder catalyzes the linear addition reaction through a double electron exchange mechanism.